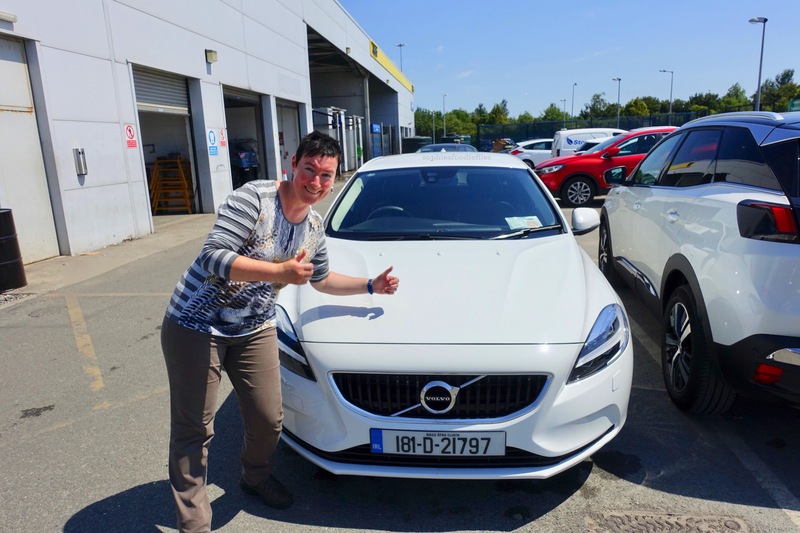 Road Trip Ireland, part 1! You haven’t heard from me in a long while & there is a good reason for,… I was on holiday road ripping through Ireland! Ooh yes! Peter & I were mostly travelling on the West-Coast & the South-West Coast of Ireland. Then we went to Dublin for 2 nights! We were away for 12 days & 11 nights! What a memorable trip it was! A real beauty: Volvo V40 D2! That day, we had to drive 237 km. We must arrive at 7PM at our B&B. At 8 PM we would dine! Yes, that is right, from the East-Coast to the West-Coast in 1 day! We stopped in the middle of this beautiful country in the lovely smaller town of Athlone, situated at the River Shannon. We stopped in the old part of town, near the castle. 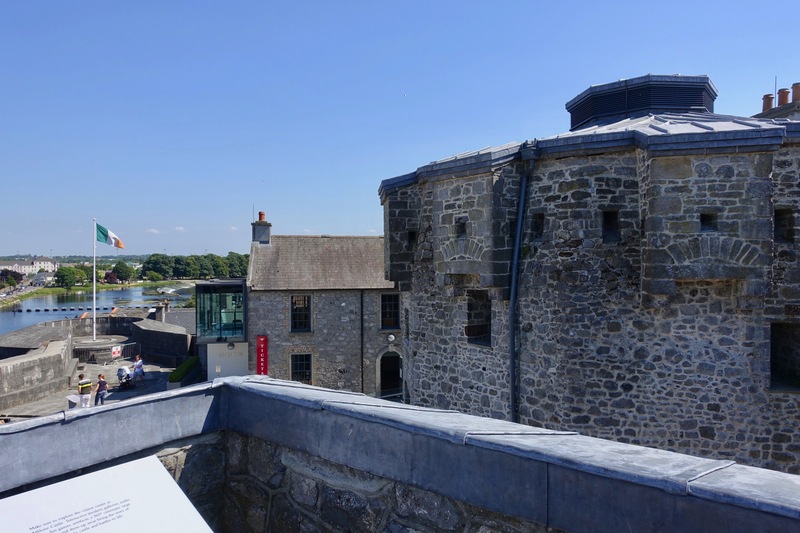 There is a visitor centre, the castle, a lovely church & the bridge over the river Shannon. We walked around the city for a bit & took off again, heading to the West-Coast. Here are a few photos of Athlone. Then, we drove further to Ballyvaughan, in county Clare. Entering the Burren region, everywhere, we drove, we were in awe for the beautiful big wide landscape! You don’t see such landscapes in tiny Belgium, were we come from! 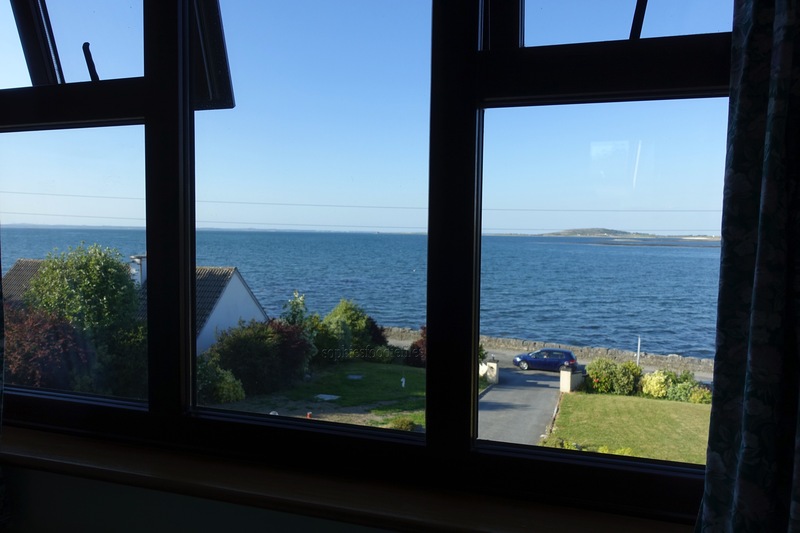 We stayed for 2 nights & We stayed here at the only B&B with Galway Bay views. This tiny village of 3 streets big has 220 inhabitants & a lot of B&B’s & a few hotels. Our B&B is called Oceanville & is situated at the pier. We could hear the waves in our room. This lovely famous region is called The Burren. (Irish: Boireann, meaning “great rock”)This is an area typical for the stone like-grey moon landscape. This is the bottom of a subtropical sea. The mountains surrounding us are made out of layers of stone & big rocks in the middle of fields,… who date back from before the ice-age. 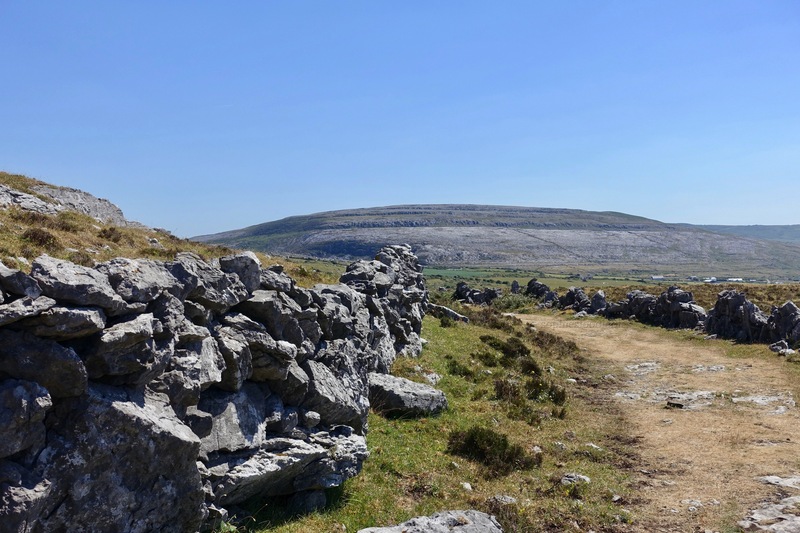 The Burren is a region of environmental interest primarily located in northwestern County Clare, dominated by glaciated karst (or sometimes glaciokarst) landscape. It measures, depending on the definition, between 250 square kilometres (97 sq mi) and 560 square kilometres (220 sq mi). 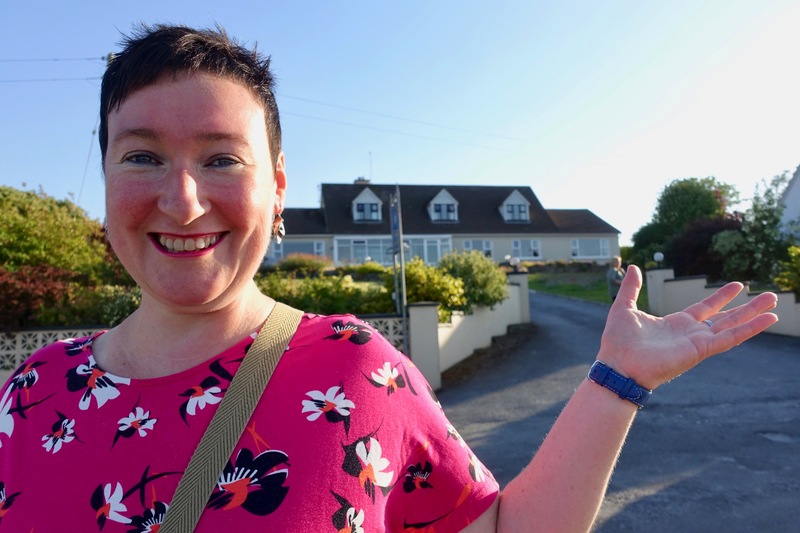 The name is most often applied to the area within the circle made by the villages of Tubber, Corofin,Kilfenora, Lisdoonvarna, Ballyvaughan and Kinvara, in extreme south-eastern Galway, including the adjacent coastline. Whit a view from our bedroom, you see? A lovely bed that slept really well! What a view every morning! Lovely scrambled eggs & tomato! The 1st evening, we dined at Monks! We made a reservation by email 2 months ago! 😉 Clever, right? A seafood platter with smoked salmon & crab! The next day, we went to Fanore Beach. We parked our car there for free & walked into the mountains & did a walk of 6 km, straight up a hill in the hot sun. You could walk to Black head & back but that would be 26 km, a bit too much for us! What a lovely walk but is was very hot that day & nearly no shadow anywhere on the walk! Fanore (Irish: Fánóir, Fán Óir, meaning “the golden slope”) is a small village in county Clare. The area was officially classified as part of the West Clare Gaeltacht; an Irish-speaking community; until 1956.Lying on the road between Ballyvaughan and Doolin, Fanore has an extensive sandy beach and sand dunes (known as the “Rabbit Warren”) around the mouth of the Caher River. We are up high & what a view! After the walk, we dipped our feet into the cooling Atlantic Ocean! It was very refreshing & there were some big waves too! Woehoe! What a lovely sandy beach it was & there was a lifeguard present! We drove back to our B&B to rest & have a relaxing shower! That night, we went to dine in Linnaean’s Lobster Bar in Newquay! It was a 20 minute drive from our place. This is a lovely fine dining fish restaurant with super friendly staff. There also have a terrace in the back of the restaurant. This fish dinner was superb in flavour & textures! We also ordered a lovely dessert each! 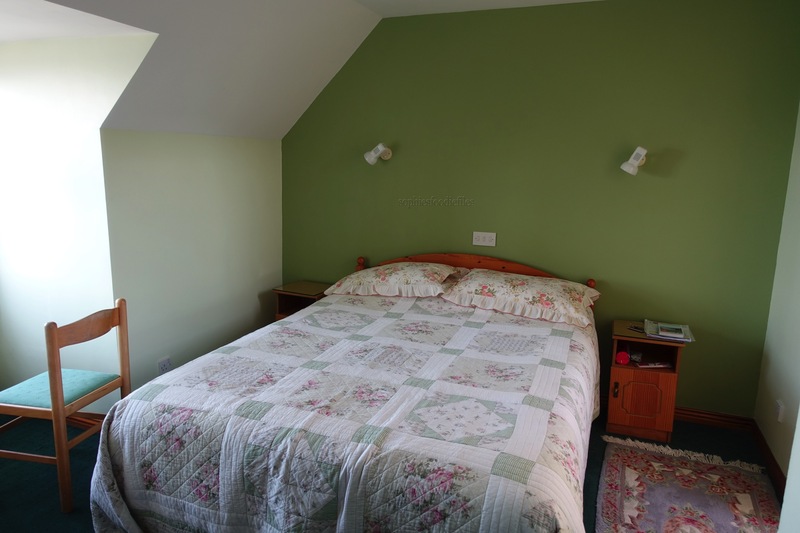 Oceanville B&B, situated at the pier in Ballyvaughan, county Clare. Here is their website with all of the info! Monks, Pub & fish restaurant, situated at the pier in Ballyvaughan, county Clare, right besides the B&B. Here is their website too! 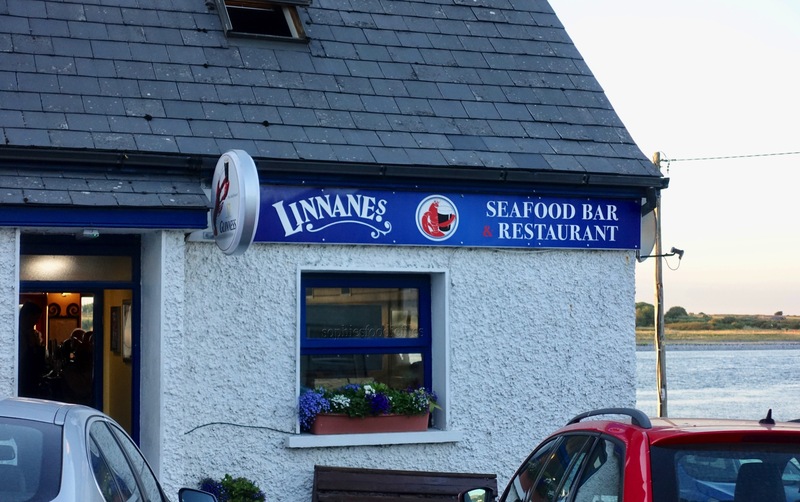 Linnane’s Lobster bar in Newquay, county Clare. Here is their website too! This is the end of part 1, Travelling Sophie through Ireland! This was a caption of the first 2 days! In the days to come, there will be a part 2, 3 & 4! Previous Post Latest harvests from our garden with yummy recipes! Next Post Vegan Strawberry Einkorn Cakes! 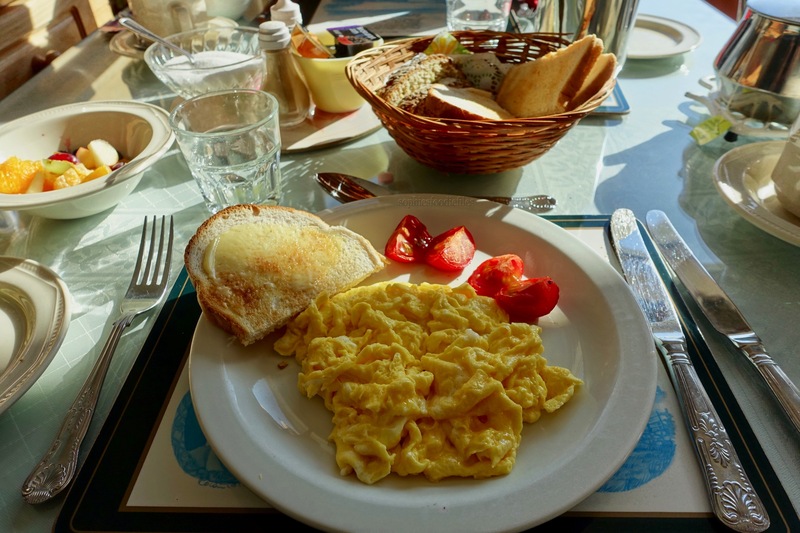 You surely had a great summer time :-)) Love that scrambled egg .. very yummy. Very yummy indeed! There will be more parts, of course! I gained 4 pounds just looking at the ice cream. Yummy food. Holy Hannah! Sophie, you know how to do a road trip right! My tummy growled just looking at the food photos. But that view…OMG… just heavenly. I’m so glad you had a wonderful time. Hugs. What a beautiful post Sophie!! (glad it’s just part 1 and there’s more to come!). Fun to see your map– you really covered a lo of ground that first day! And that Air Bnb looked perfect. And thanks for including your dining pictures– you seem to always end up at the most delicious places!! It looks like an all around wonderful trip!! So glad you were able to go (and we get to see it all!) hugs hugs friend. I’ve never been to Ireland, but I’d love to go. It was my 1st time too! It is just so amazing, the views, lovely people we met, etc! Wonderful start to your holiday, Sophie. We drove across the Burren too. It’s so desolate. Lovely photos! Thanks so much, my friend! Happy that you were there too! I loved reading it all! A very informative & well written post, dear friend! Waw! I loved this cool post! You travel well! I have been to the Burren too! I’ve had fun catching up on your trip to Ireland. It looks like you had a wonderful time with all your walks, beautiful scenery and good food.